A new smart bandage may change our wound caring practices. 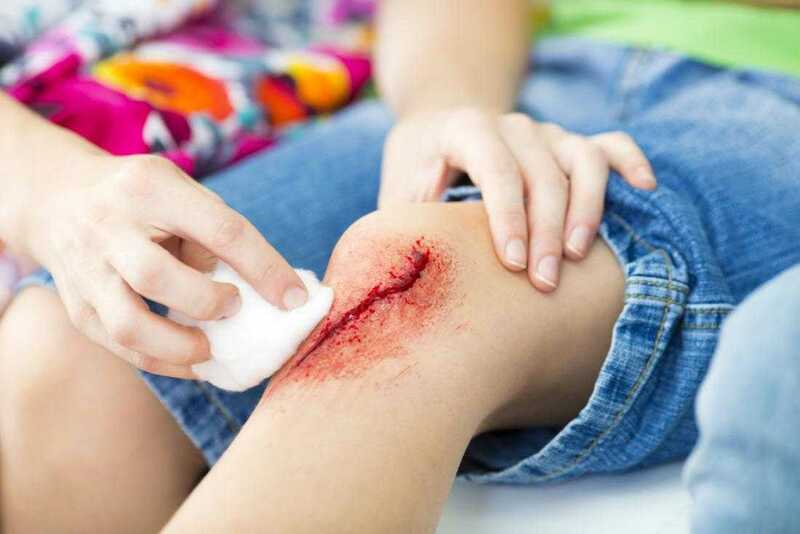 Researchers have designed a "smart" bandage that is much more effective and faster-acting than regular healing patches. The same device can also be loaded with drugs, depending on the type and stage of the wound it is applied to. The idea for the new device was born out of the need to find more efficient, expedient, and cost-effective treatments for chronic wounds. Chronic wounds - including venous ulcers, diabetic ulcers, and pressure ulcers - are particularly challenging to treat due to the complex biological mechanism that characterizes them. They do not heal after the standard 4 weeks of care, largely because the body does not release the compounds that are essential to healing in a timely fashion. But the new device may change this. Being able to administer different drugs at different stages in the progression of the wound is known to help with chronic wounds, and the smart bandage allows medical professionals to do just that using one single device. The smart healing patch was engineered by researchers from the University of Nebraska-Lincoln (UNL) in collaboration with scientists from Harvard Medical School in Boston, MA, and the Massachusetts Institute of Technology in Cambridge, MA. In the new study - which is published in the journal Advanced Functional Materials - the team details a series of experiments that they ran in order to test the benefits of their innovation. One of the corresponding authors of the study is Ali Tamayol, an assistant professor of mechanical and materials engineering at UNL. "The medical cost associated with [chronic] wounds is tremendous," he says. "So there is a big need to find solutions for [them]." The smart healing patch is the size of a postage stamp, made up of electrically conductive fibers, and can be controlled remotely with a smartphone or another wireless or bluetooth device. The fibers are coated with a water-based gel that can be loaded with various drugs, depending on the needs of the wound. Antibiotics, so-called growth factors that help the tissue to regenerate, and painkillers could all be alternatively administered using the same "e-bandage," all the while controlling remotely not only the substance, but also the dosage. In one of the experiments detailed in the study, the researchers applied the e-bandage loaded with a tissue-growth factor to wounded mice, and a normal "dry" bandage to a control group of mice. The experiment showed that the smart bandage helped the mice to regrow three times as much tissue than the control group did. Tissue regeneration is a key step in the healing process. In another experiment, the team loaded the bandage with an antibiotic. The smart healing patch successfully fought off the infection. "What we did here," he continues, "was come up with a strategy for building a bandage from the bottom up [...] This is a platform that can be applied to many different areas of biomedical engineering and medicine." "Imagine that you have a variable patch that has antidotes or drugs targeted toward specific hazards in the environment," Tamayol adds. The researchers also hope that the first application of their device will be to heal the chronic ulcers that result from diabetes. The majority of the bandage's components have already been approved by the Food and Drug Administration (FDA), the researchers say. But before bringing the device to market, the bandage will still have to be tested in animals and then in human trials. Until then, the team is hard at work trying to make the bandage capable of administering the appropriate treatments autonomously.